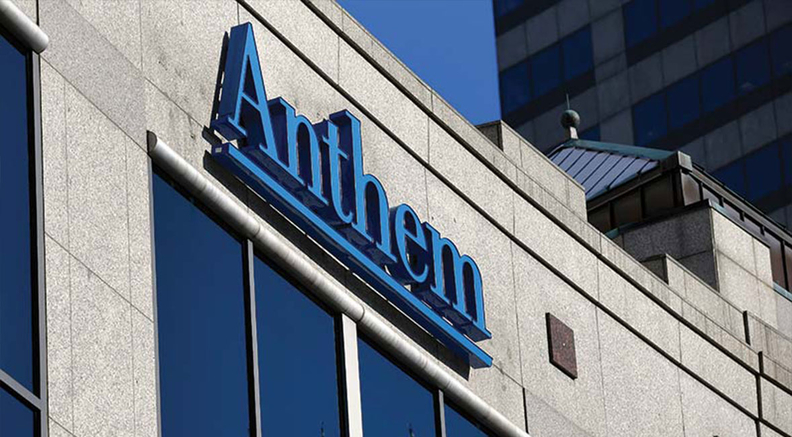 Health insurer Anthem has refused to comply with the U.S. Justice Department's investigation into its Medicare Advantage billing practices, according to federal court documents filed Tuesday. So the Justice Department this week asked the U.S. District Court for the Southern District of New York to force Anthem to comply with a civil investigative demand issued in March to provide testimony about its chart review and risk-adjustment program for its Medicare Advantage plans. The Justice Department initially demanded the testimony by April 13 but said Anthem has yet to provide a witness to testify. The court on Monday ordered Anthem to explain why it should not be forced to provide testimony. Anthem has until Sept. 4 to respond. The Justice Department asked for Anthem's testimony as part of an investigation into whether Anthem unlawfully obtained hundreds of millions of dollars in Medicare Advantage risk-adjustment payments in violation of the False Claims Act by submitting inaccurate patient diagnosis codes to the CMS. The feds also want to know if Anthem deliberately disregarded its duty to ensure the diagnosis codes submitted were valid, and asked for testimony about the processes and people Anthem relied on to verify diagnosis codes obtained by providers and through a retrospective chart review. An Anthem spokeswoman declined to comment. Medicare Advantage insurers are paid a flat per-member per-month fee from the CMS for individuals covered in the plan. Those payments are based in part on how sick plan members are. Members with more chronic conditions have higher "risk scores," and the plans that cover them receive higher payments. Plans that cover members with fewer chronic conditions receive lower payments. There have been several whistle-blower lawsuits in recent years alleging that some health plans exaggerate their patients' conditions to secure higher taxpayer-funded payments. Most recently, the Justice Department joined two separate whistle-blower lawsuits against UnitedHealth Group alleging that the insurer gamed the Medicare Advantage program to fraudulently collect millions. In October 2017, a federal judge in California tossed one of those lawsuits against UnitedHealth because the Justice Department didn't prove that anyone at the insurance company knew about the alleged upcoding. And in February 2018, a federal judge said the other case could move forward, but significantly pared down the Justice Department's claims against the insurer. UnitedHealth has repeatedly denied the claims about fraud. The Justice Department is also looking into the Medicare Advantage billing practices of several other major insurers, including Aetna, Centene-owned Health Net, Humana and Cigna's Bravo Health.